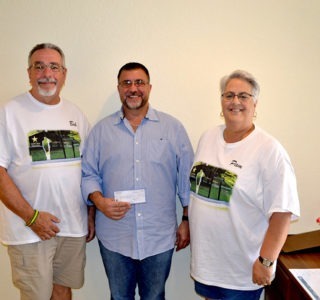 ProCalcs, a South Florida based HVAC system design company presented a check to the Boys & Girls Club of St. Lucie County to help with Club expenses. The funds are unrestricted and can be used as needed. ProCalcs believes in giving back to those in need. They are proud supporters of the United Veterans, Boys & Girls Clubs and many other charitable organizations. 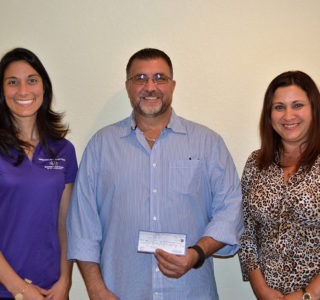 ProCalcs, a South Florida based HVAC system design company recently donated its services to the Son-Rise Church. Due to the change in occupancy, load calculations for the existing air conditioning system had to be evaluated. N2 Architecture + Design worked on the overall design to convert the retail store into a church. ProCalcs was brought in to determine if the existing A/C system met local codes and was functional for the re-purposing of the building. After a complete evaluation, it was determined that Son-Rise Church was in need of an additional 2.5 tons of air conditioning. “The church needed our help and we stepped in. We believe it’s important to help others when you can. The church needed our services and we were able to donate them. This worked out well for everyone.” – stated Tom Platania, founder of ProCalcs. In this short video, you’ll learn about how ProCalcs addresses the needs of Builders, Architects, Engineers and HVAC companies by delivering high quality results and flexible turnaround to Homeowners, Residential/Commercial Builders and HVAC contractors.